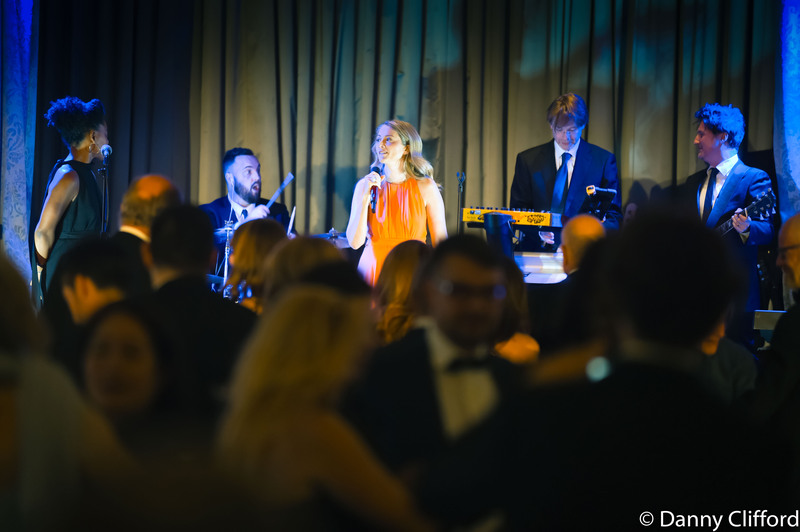 Held on Monday night in the exquisite setting of London’s iconic Savoy Hotel, Miel and her band performed some of her new songs at the Pearls for Life Gala Dinner and Auction in support of The British Red Cross. The Gala marked the centenary of Lady Northcliffe’s 1918 appeal for pearl donations in support of the tireless work performed by the British Red Cross during the First World War. With the same generosity that underpinned the 1918 appeal, the 2018 event raised nearly three hundred thousand pounds for the charity. Prior to the charity event, Miel and her band rehearsed with an audience in the prestigious Metropolis Recording Studio, London. Explaining the influence behind each of her new songs, Miel and her band created a truly intimate performance for the audience, who were spellbound by the performance. Miel’s songs authentically reflect upon key moments in her life, such as one in French that looks back at the time she spent living in Paris, and her music touches on a variety of themes, from addiction to surrendering to positivity, which is sure to resonate with many and be inspirational for all. Miel’s highly anticipated new music is set to be launched very soon.. Be the first to know of the official release, subscribe to Miel’s mailing list for the latest information on tour dates and performances.